Reese Speaks Eats in the Capital! I’m Reese and welcome to Reese Speaks. 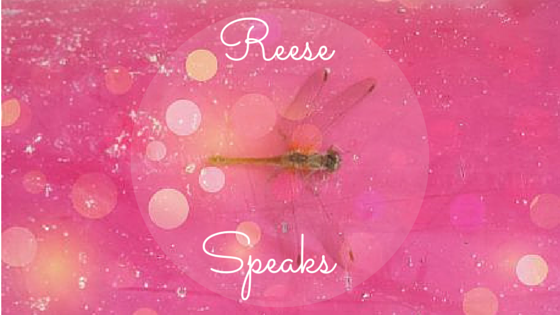 Who is Reese Speaks, you ask? Well, my name is actually Lian, but one of my nicknames is a short form of my middle name, Reese I’m a woman who likes to share what’s on her mind, sharing my experiences and hobbies, or give my opinion on certain topics. I was born in Toronto, Ontario (and still love it), but now have found a new home in Canada’s nation’s capital of Ottawa. I graduated with an Honours Degree in Political Science from Carleton University and love working in the field of Social Media. I am the proud mother of three kids whom I like to refer to as the “Bosses” as they all have their own strong personalities and know what they want for themselves. My other half is by my side and inspires me to try something I thought I would not be able to do. I can never put down a good book. I love playing and watching sports when I can. Shopping is a passion of mine I’m always on the hunt for what’s new in fashion, beauty and gadgets. I enjoy trying new experiences, traveling or accomplishing new challenges put in front of me. I’m a huge Christmasaholoic! It’s my favourite time of the year, even with the cold weather! Photography is a new hobby of mine. I don’t pretend to be a pro at this, but I try to capture my experiences this way, as well as through this blog. Since I have stumbled into the world of blogging, I try to do it whenever I can. Motherhood is my top priority, but it is not the only thing that defines who I am. Since I was a child, I have always enjoyed writing, so Reese Speaks gives me the opportunity to write about anything I want without restriction. I hope you were able to get a glimpse into who I am, and that you enjoy what I want to share with you. Take a look at my blog to follow me, one experience at a time and escape the grind of the everyday world for a while! Want to collaborate with me? Take a look at what I can offer you, and let’s start working together! Unless otherwise noted, the photos on my blog are those I have taken. Please do not use them without my expressed written permission. Hi Reese – great to see your blog! I’m trying to catch to you! Thanks for the support! and what a BEAUTIFUL photo of the flowers up top. Thank you Kitchen-Counter-Culture! I cannot take credit for this photo, it was taken by someone else. I will be changing it because I like changing my cover photo once in a while. Oh, yes, I do love Christmas! I already have posts scheduled for certain dates in December. I hope you do pop by my blog then, as well as before Christmas. Thanks for commenting! That looks so delicious! Thanks for sharing. An Awesome Assistant at Hand with JOBY GorillaPods! See What's Snapping with Reese Speaks on Instagram! Reese is on Blog Lovin’! Follow Reese Speaks via Email! Check Out Who’s Following Reese Speaks! 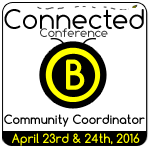 Come join us at BConnected Conference, 2016!